13 arts: Virág Réti - Our New Guest Designer! Nadszedł czas by przedstawić Wam naszą nową Gościnną Projektantkę Virág Réti z Węgier. Virag zrobiła piękny blejtram jako swoją pierwszą inspirację. 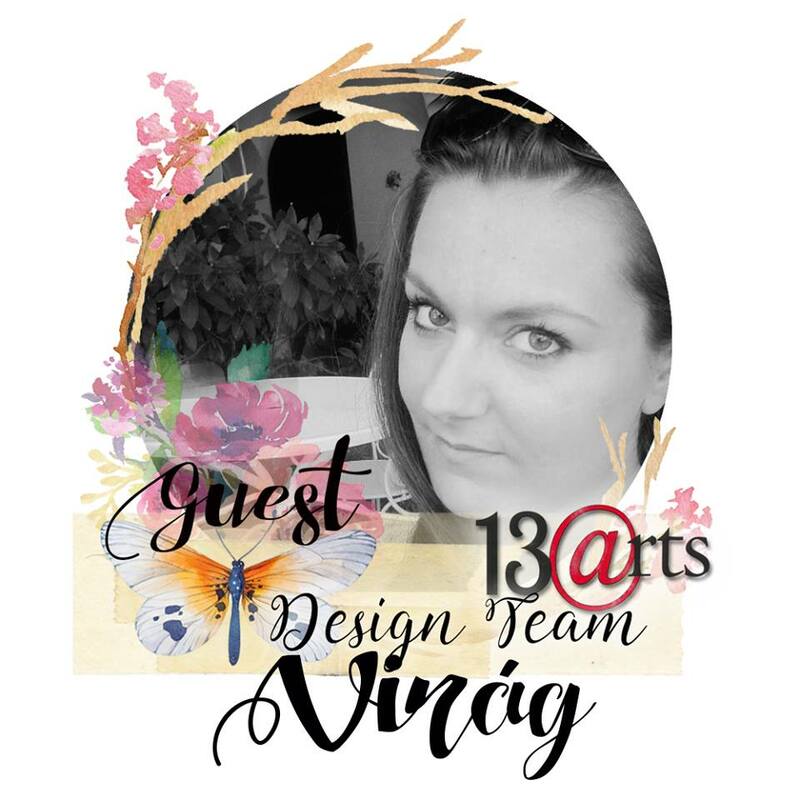 Today it's time to introduce our new talented Guest Designer- Virág Réti from Hungary. 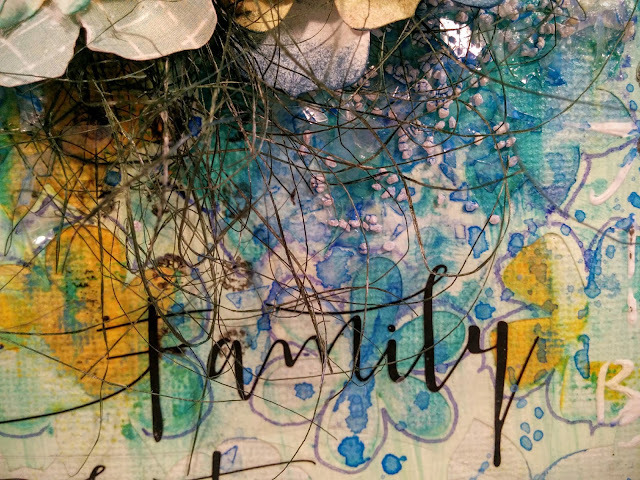 Virag made a beautiful canvas as her first GD project! My name is Virág Réti and I live in Budapest, Hungary. Virág means flower in Hungarian. I work as a marketing manager on weekdays, but my passion is scrapbooking. This is not just a craft activity for me, it is my real holiday and time for relaxation. My scraproom is a calm island in this busy world. 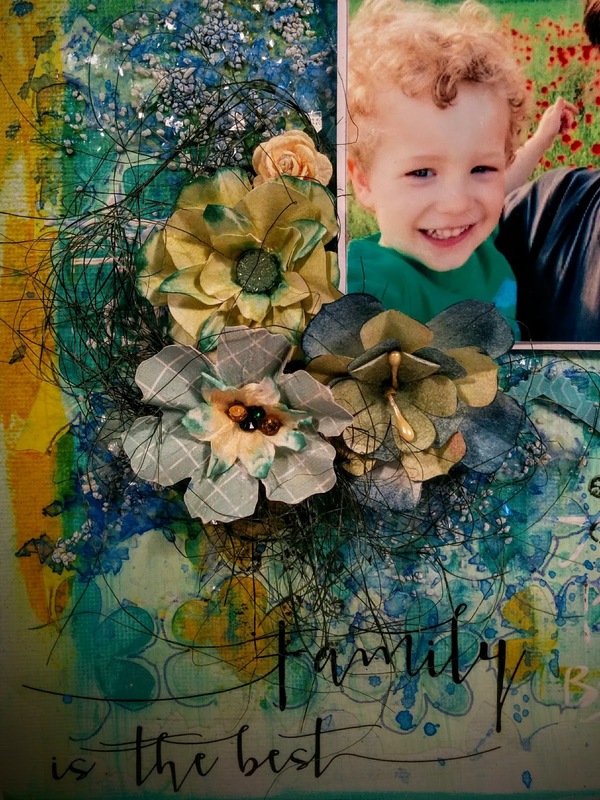 I started scrapbooking 5 years ago, but last year when I met with mixed media scrapbooking techniques in an American YouTube video I felt that I found my line, the technique what I was looking for. My style is a little vintage and grunge, sometimes romantic and shabby, but I cannot define exactly. I am able to reform day by day. My favourite products are chipboards, flakes, beautiful papers, paints, mists, nowdays flowers, tags. 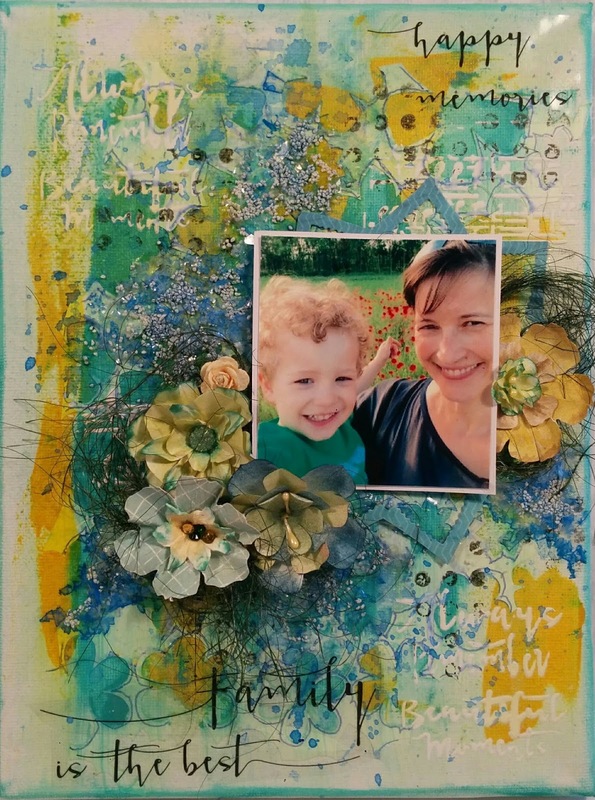 I am able to prepare layouts in different styles, it depends on my mood, the embellishments and the papers I use. I am a coffee lover. I love singing loudly, but my voice is horrible. And I know, I am a bit crazy, because normal is boring for me. :) I am happy to be here with 13arts team members! We had a giveaway campaign in our Hungarian scrapbook community and I prepared this canvas for one of the winners. I got this wonderful family photo from the winner, who I know personally. The picture is very bright, shiney and full of happiness, this was the reason why I choose this colorful background solution. When I received my guest design parcel I wanted to try immediately and I found the yellow metallic paint and the turquise paint, so I started to play with them. The flowers on the canvas are handmade, my sister create them for me. The whole project is totally out of my comfort zone, but I really love the result. What a beautiful canvas, happy colors and adorable photo!